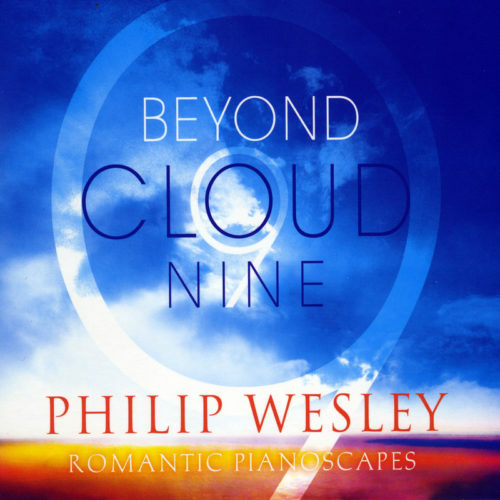 Philip’s first and most ambient album to date. Often used for yoga, massage, and other alternative therapies. 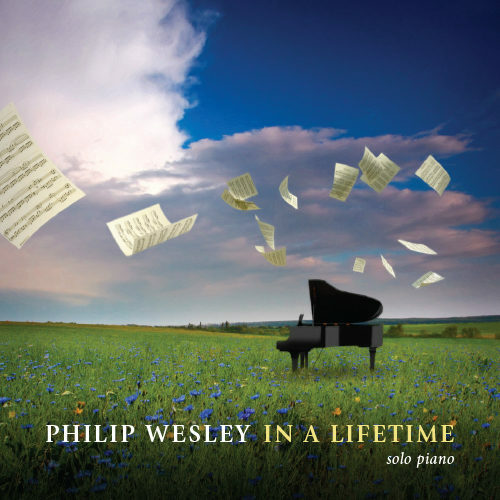 Unwind and relax with this solo piano gem. Includes the following 12 songs: At This Moment, Autumn Romance, Celestial Reverie, Finding Solace, Journey Home, Lamentations of the Heart, Love’s Last Embrace, Ocean of Color, Still Waters Run Deep, Tabatha’s Song, The Awakening, The Long Goodbye. 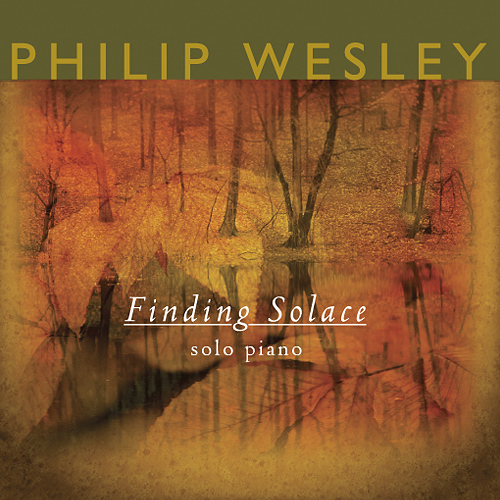 Finding Solace is Philip Wesley’s debut recording, and consists of twelve original and very personal piano solos. 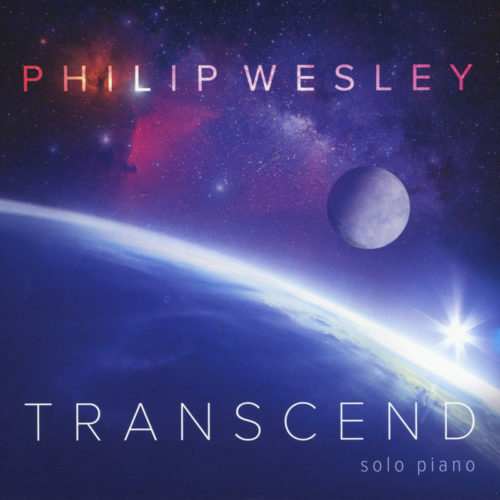 Most of the tracks have a lovely, soothing flow to them, and there is a gentle simplicity to Wesley’s approach that is elegant and heartfelt. The CD opens with “At This Moment,” Thoughtful and optimistic. “Celestial Reverie” is much more expansive and open – as the title suggests, a little bit sparkly and a lot dreamy. 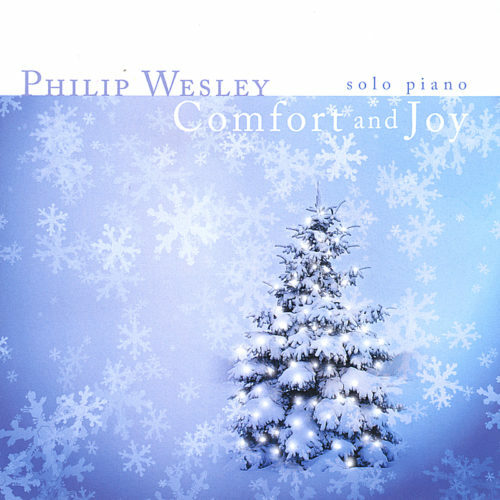 “Journey Home” was the first piano piece Wesley ever composed. Inspired by a college music writing assignment, the piece is peaceful, but also has a sense of moving forward. “Lamentations of the Heart” is much sadder, but is very beautiful and deeply emotional – I love this track! “Ocean of Color” refers to the autumn colors and is a bit more abstract and improvisational. “Tabatha’s Song” is about first love, and has a sweet poignancy and innocence. “The Awakening” comes from deep introspection and the internal journey of reevaluating one’s life. Wesley shares the experience with grace and openness. Finding Solace is an excellent debut, and I look forward to hearing future projects! I have enjoyed this CD a lot!